Anirudh Varma | OK Listen! 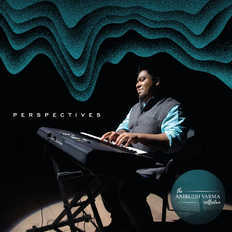 Anirudh Varma is a 20 year old Grade 8 pianist from the Associated Board of Royal Schools of Music, and is currently working on his diploma. He began his training in keyboards at the age of six under Mr Ritesh Khokhar. He composed his first piece ‘Wailors Fiesta’ at the age of 6 for an exam. He began his training of the pianoforte with Ms Lothunglo Mozhui and is currently training under Mr. Hosie Palamkote. Anirudh is gifted with a natural technique at the piano that has been further polished to near perfection under the expert guidance of his teachers. Apart from being a fluent reader of sheet music, he has a strong ear and can produce most music by simply hearing it. Inspired by the independent music scene and encouraged by his grandfather Mr. S.N. 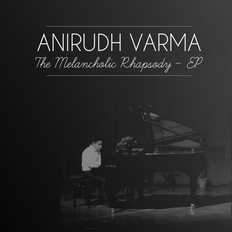 Varma, Anirudh has trained in Indian classical music under Mr Manas Majumdar. He has worked as a composer and music arranger in projects such as the title song for Delhi government's "Roopantar" project under "Sarva Siksha Abhiyan” scheme and music for Gurgaon’s community radio station ‘Gurgaon Ki Awaaz’. He also contributed to the background score of a documentary film as part of a program on Citi Global Encounters, screened at the Carnegie Hall , USA. He has also worked as a teaching artist, and composer with Delhi based NGO Music Basti. As his fingers dance effortlessly on the keys the audience is amazed at his musical expression. His unique technique and interpretation may leave purists in despair, but it is gets him much appreciation and applause. Anirudh has led the music societies at both school and college, to victory in various competitions at the national level. He has opened for various artistes with the Hansraj Projekt such as, The Raghu Dixit Project, Family Cheese, Farhan Akhtar, Mohit Chauhan and Pritam. He also plays with the Delhi based ensemble ‘The House of Symphony’. He has played with bands like Raagleela, Plok, and Cobbled Street in the past. He is presently playing with The Hansraj Projekt, Stellar Teller and Three of a Kind(+2). He is also working on a flute-piano duo album with the talented Delhi based classical Flautist Ritesh Prasanna.